Looch is the stage name of the Award-Winning entertainer who specialises in ‘Mind Reading’ at a range of corporate and private events across the UK. He is considered by his peers & cleints to be one of the most creative mentalists & mind readers in the world. As a child Looch was trained by the late Keinosuke Enoeda to become one of the UK’s youngest ever Shodans in Shotokan karate, as a result this enabled him to quickly assess challenging situations and maintain control and self discipline. Fascinated by the power of the mind Looch traveled to the USA where he witnessed a street magician create the impossible right in front of his eyes. It was at this moment that he knew which path his life would take him. He spent the following decade feverishly studying the little known and underground techniques, associated with magicians and also psychic entertainers. Through qualifying as a teacher, he was able to create a fusion of these skills resulting in being asked to work with some of the country’s most troubled, challenging and disaffected young offenders. His effectiveness within this environment gained him and the young people he worked with several national awards. His finely tuned observational skills enable him to engage quickly and effectively with people, and gain an understanding of the individual’s thoughts and actions in a given context. Looch’s skills are a synthesis of methods and disciplines that he takes out into the real world to stagger and astound his audiences. 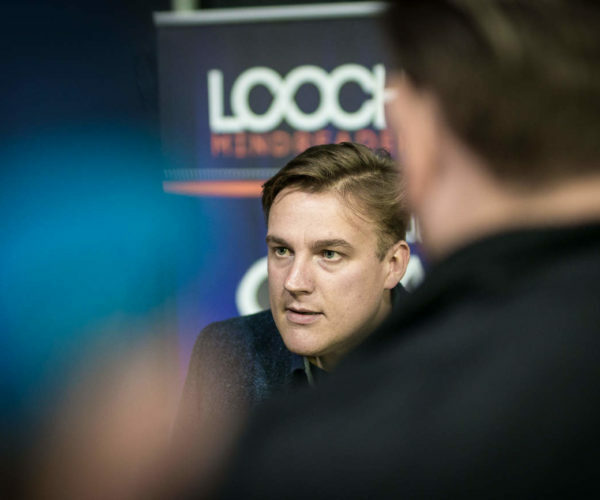 Looch performs a style of mind reading and mentalism is for the discerning adult audience seeking a thought provoking and stimulating form of entertainment which offers a unique twist on the traditional magician. He provides a range of performance options, ranging from Stand Up Shows, to Mix & Mingle and Crowd Pulling events.